noteworthy occasion that draws in visitors from far and close. Such an event typically has in participation the rich, poor people and the cream of the general public who share social or familial heredity with the host network. The planning for the eventful ceremony is usually novel and elegant in order to make the D-Day a memorable one. 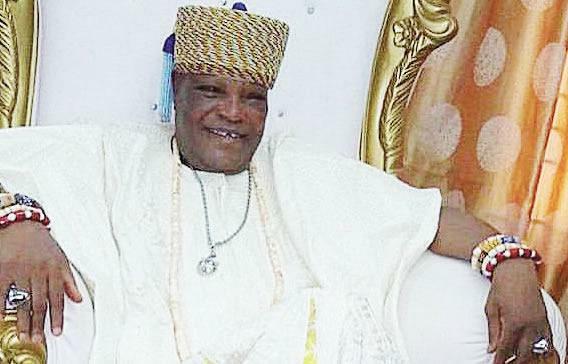 Like every new monarch, Oba Muritala Ogun-Oloko, the Olu of Iwaya – a busy community tucked in Lagos West – had moved preparations up a gear ahead of February 2, 2019 when he would be formally installed as “the number one citizen” of the populous neighbourhood. He had bought seven different expensive clothes to wear on the day. And it was going to be a dress per moment, The Punch learnt. Already, there were bookings for drinks, catering service, musical show and ‘Aso Ebi’ (a dress chosen as the general attire for guests) for hundreds of potential attendees. With each passing day, Ogun-Oloko, his family, friends and council of chiefs became more exuberant and could not wait to witness the event. Suddenly, plans had to be halted on Monday, January 14, when the 75-year-old joined his ancestors barely three weeks to the occasion. “It all started like a mere cough that Monday morning. He was given medications. But his health deteriorated and we decided to rush him to the hospital. He died on the way,” the late monarch’s first wife, Bisi said amidst sobs. For about two minutes, the mother of eight could not continue the talk with The Punch. She was devastated. After much succour from sympathisers around her, she managed to pick herself up. She stifled her tears to resume the narration. “He was supposed to wear seven different types of clothes that day. He had already bought four and given them to his tailor. On Saturday, two days before he died, one of the younger wives and I went to the market to buy three new clothes of 10 yards each. We bought them for about N400,000. We also bought souvenirs that we would share at the event. The widow explained that she was sleeping after she had prayed that Monday morning when a child rushed to her room, informing her that the monarch was coughing and acting strangely. She continued, “I hardly slept at night due to the stress of the preparation. After praying in the morning, I would go back to sleep. That Monday morning, while I was asleep, one of our children woke me up. He asked me to come and look at Kabiyesi (the monarch). It was around 11am. When I got to his room, he was coughing. He took some medications but there was no improvement. So I called one of his sons, Sola, on the phone and informed him about the situation. A nurse had already put him on a drip. Speaking further on the plans for the coronation, the distraught woman said her husband had invited a popular Fuji musician to entertain the guests – from within and outside the country – that would attend the occasion. The event was to hold near the palace and shop owners in the area had been notified ahead to honour the day by suspending commercial activities Bisi said. She also revealed her personal plans for the day. The Punch learnt that some days before his death, the monarch had installed some new chiefs, including Iyalode (a prominent chieftaincy title for women) that would work with him on the throne. Ogun-Oloko, who had been the baale (chief) of the community for many years, was recently elevated to the class of a king by the Lagos State Government. The staff of office was presented to him by the state Commissioner for Local Government and Community Affairs, Mr Muslim Folami. Following his official recognition as a monarch, he fixed February 2 for the coronation to cement his new status. And preparations commenced forthwith. But all efforts geared towards making the event historic went down the drain on Monday when he took his last breath. The septuagenarian is survived by four wives, 36 children and grandchildren. One of the children, Sola, who also doubled as the personal assistant to the monarch, shared the fond memories he had with his father during an interview with The Punch earlier in the week. “The Aso Ebi would be used for the 40th day prayer,” Sola stated, adding that the family was expecting guests from Canada and United Kingdom. “Some of them called us to verify the news of Kabiyesi’s death. They were shocked,” he said, fighting back tears. A sympathiser, Mrs Muslimat Ajetunmobi, described the late monarch as a good-hearted person whose generosity she would never forget. “I am Kabiyesi’s friend’s daughter. He was a true father. For all the years I knew him, I never saw him angry. He was very generous with money. He was my family’s helper. His death is very painful,” she said. A granddaughter of the deceased, Busola Abioye, described him as a loving and caring person who she would miss a lot. In her own capacity, 27-year-old Abioye had so many plans for the day. She had invited her friends and made arrangements for snacks and drinks with which she would entertain her guests. “I had informed those that would make ‘small chops’ (snacks) for me. The day the incident happened, I was at the bank to deposit money into the accounts of the people that would supply me souvenirs and clothes. It is so sad. I never expected it,” she added.